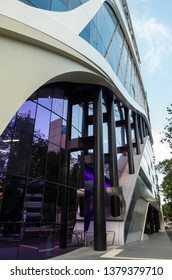 A lawyer by trade, a photographer for fun. 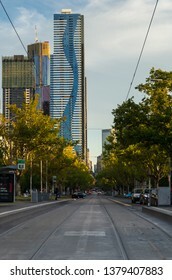 I love capturing images of Melbourne and have found stock photography a great way to hone my craft. 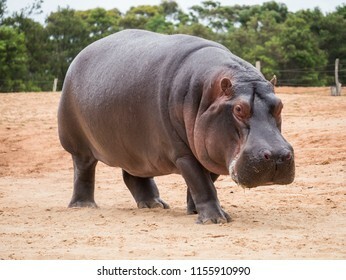 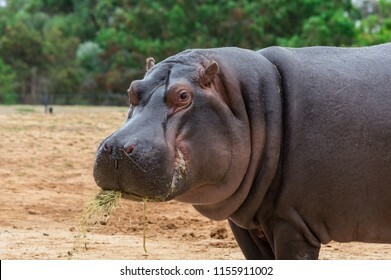 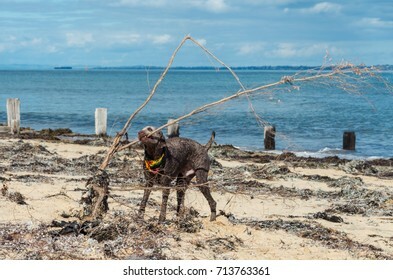 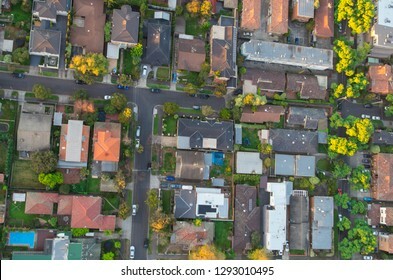 5,552 stock photos, vectors, and illustrations are available royalty-free. 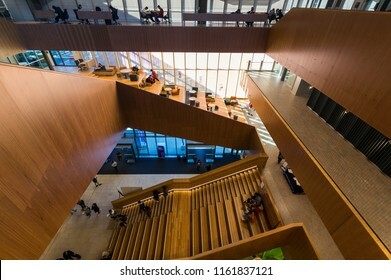 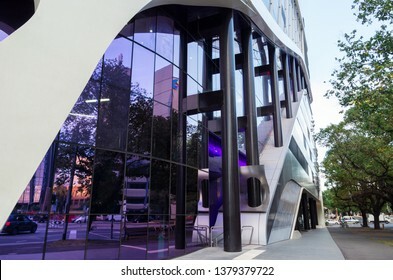 Melbourne, Australia - August 5, 2018: the Learning and Teaching Building of the Monash University Clayton Education Faculty was opened in 2018. 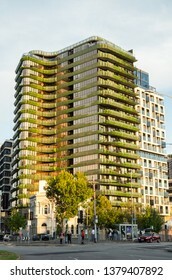 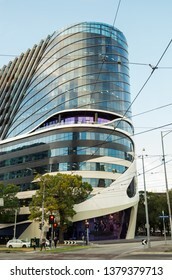 It was designed by John Wardle Architects. 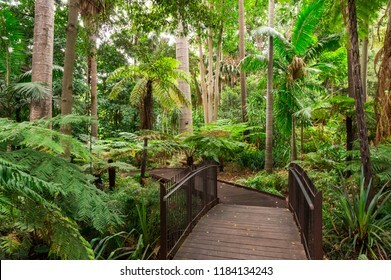 Path through the Fern Gully of the Royal Botanic Gardens in Melbourne. 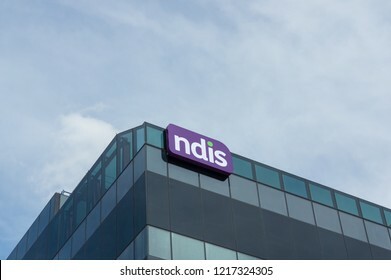 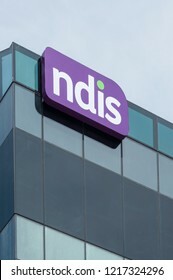 Geelong, Australia - October 14, 2018: the National Disability Insurance Agency, administering the National Disability Insurance Scheme, is headquartered in Geelong. 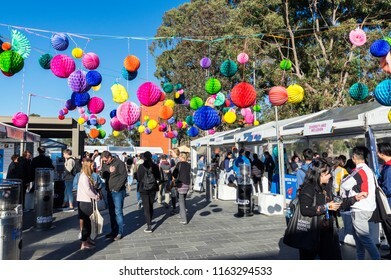 Melbourne, Australia - August 5, 2018: information stalls of student clubs on the annual open day at the Monash University Clayton campus in suburban Melbourne. 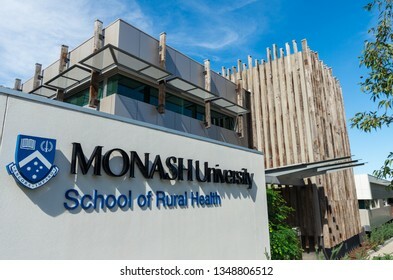 Bendigo, Australia - October 28, 2018: the Monash University School of Rural Health in Bendigo is part of the School of Public Health and Preventative Medicine. 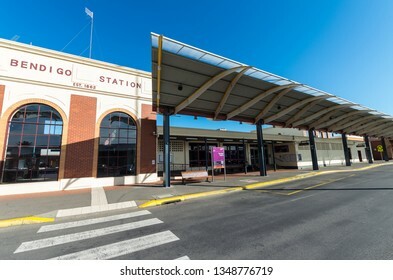 Bendigo, Australia - October 28, 2018: Bendigo railway station opened in 1862. 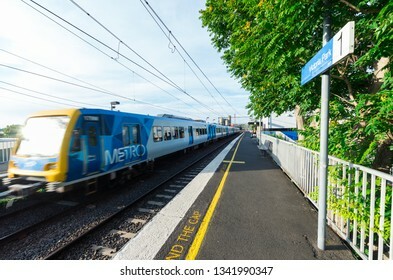 Bendigo is connected by VLine train to Melbourne, Swan Hill and Echuca. 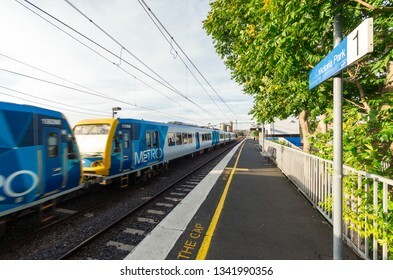 Melbourne, Australia - January 7, 2019: Melbourne Metro suburban electric train at Victoria Park railway station in inner city Abbotsford. 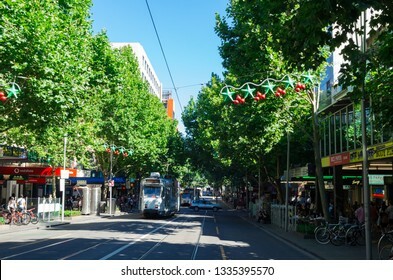 Melbourne, Australia - December 23, 2018: trams on Swanston Street, the main street running through central Melbourne. 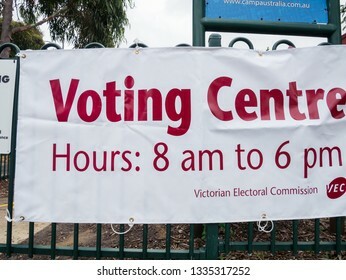 Melbourne, Australia - November 19, 2018: Voting centre in the 2018 Victorian state election, located at Antonio Park Primary School in Mitcham. 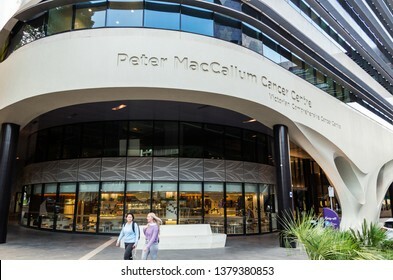 Melbourne, Australia - December 23, 2018: St Collins Lane shopping centre is owned by JPMorgan Asset Management. 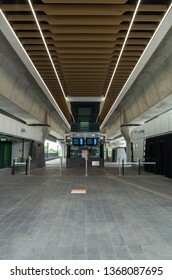 It was redeveloped in 2016. 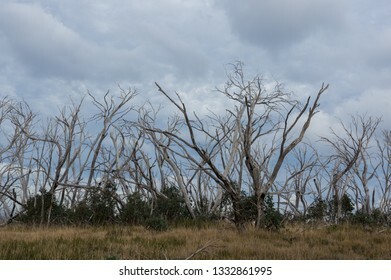 Burnt dead snow gum trees line the Dargo High Plains Road near Mount Hotham in Victoria, Australia. 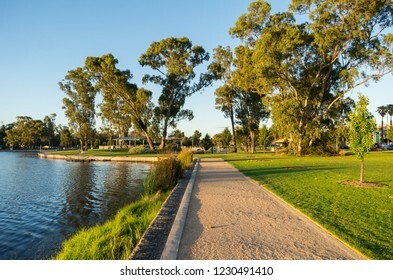 Victoria Park Lake in the regional Goulburn Valley town of Shepparton, Australia. 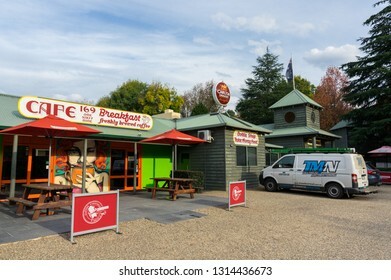 Harrietville, Australia - May 2, 2018: the Harrietville Hotel Motel and the Cafe 169. 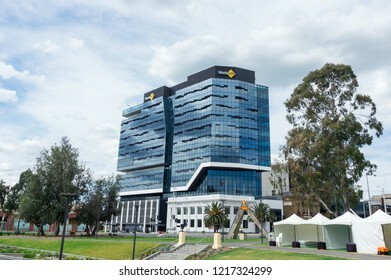 Harrietville is situated on the Great Alpine Road. 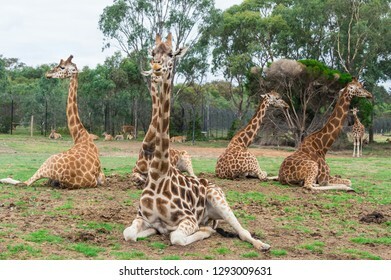 Melbourne, Australia - February 28, 2018: Safari Station at Werribee Open Range Zoo. 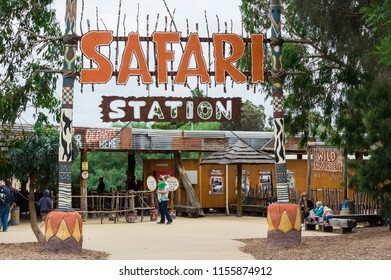 Buses through the zoo depart from the safari station. 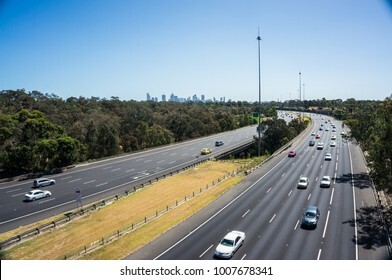 Traffic on the Eastern Freeway at dusk, passing through Yarra Bend Park, as seen from the Yarra Boulevard bridge. 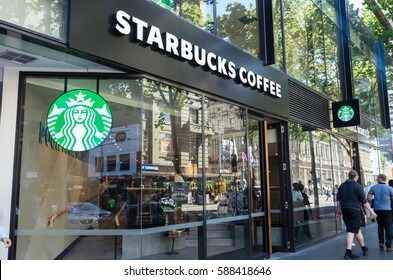 Melbourne, Australia - February 23, 2017: Starbucks Coffee is an American chain of coffee shops, founded in Seattle. 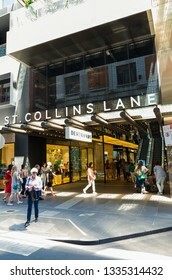 The 385 Bourke Street store is inside the Galleria shopping mall. 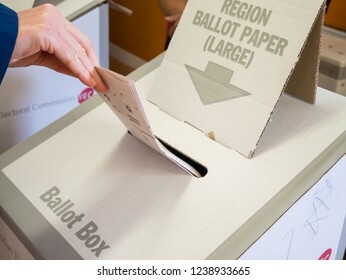 Melbourne, Australia - November 19, 2018: Woman casting her vote in the 2018 Victorian state election, at Antonio Park Primary School in Mitcham. 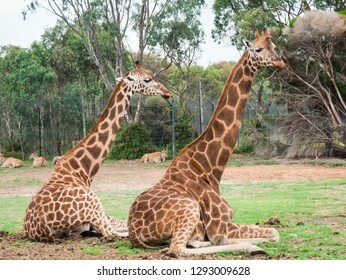 Rothschilds giraffe, Giraffa camelopardalis rothschildi, native to eastern Africa. 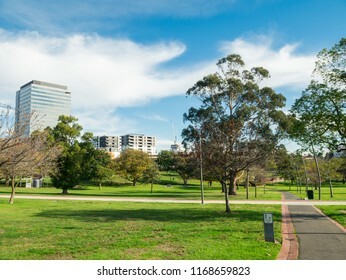 Melbourne, Australia - June 1, 2016: Box Hill Gardens is a large suburban park in Box Hill in the eastern suburban City of Whitehorse. 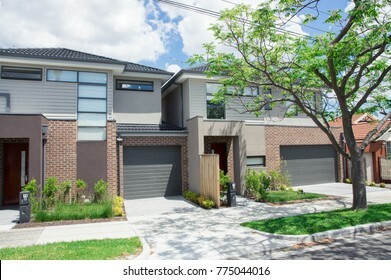 Melbourne, Australia - November 19, 2017: modern townhouse in Clayton in the eastern suburbs of Melbourne. 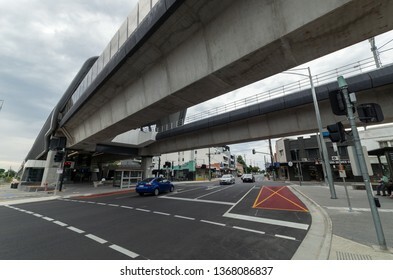 Clayton is in the City of Monash municipal area. 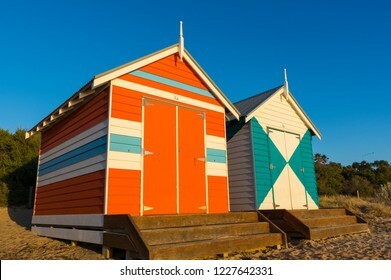 Melbourne, Australia - March 31, 2018: Colourful bathing boxes at Brighton Beach, a popular inner city beach. 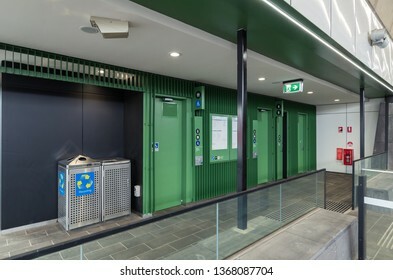 There are 82 bathing boxes at Brighton Beach. 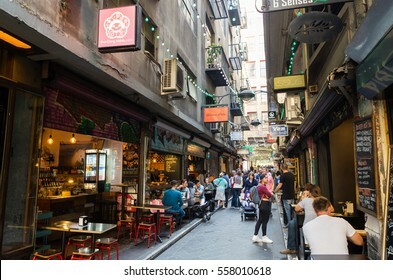 Melbourne, Australia - December 18, 2016: Degraves Street is a popular cafe and retail laneway between Flinders Street and Flinders Lane in Melbourne. 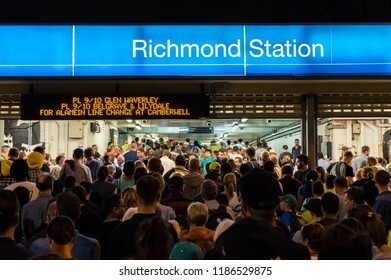 Melbourne, Australia - February 10, 2018: crowd of people queuing outside Richmond Railway Station after an evening cricket match. 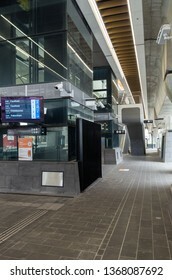 Richmond Station provides access to the MCG. 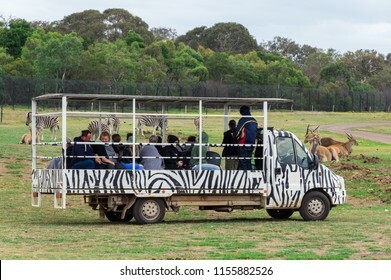 Melbourne, Australia - February 25, 2018: safari bus taking visitors through Werribee Open Range Zoo in outer suburban Melbourne. 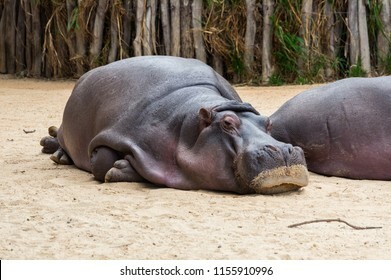 Buses take visitors right up to African wild animals. 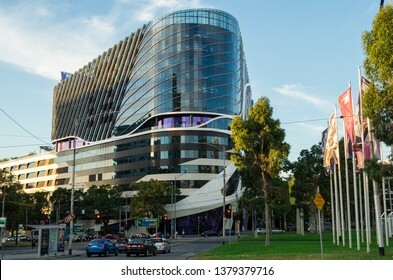 Geelong, Australia - October 14, 2018: Geelong offices of Worksafe Victoria, also known as the Victorian Workcover Authority. 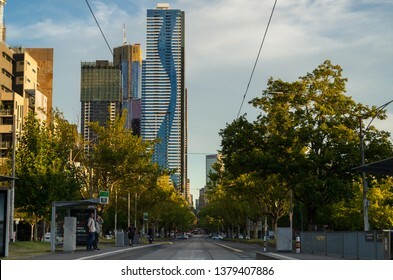 Melbourne, Australia - March 7, 2019: view along Elizabeth Street towards the central business district, in North Melbourne. 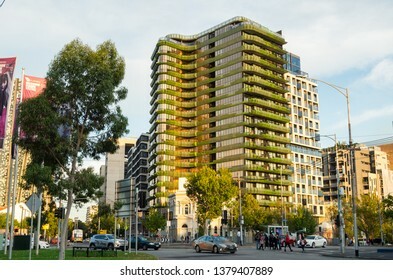 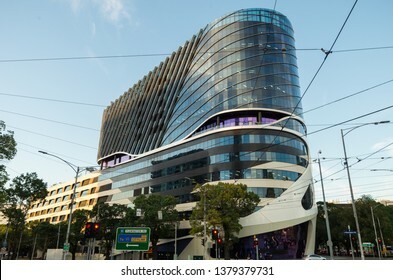 Melbourne, Australia - March 7, 2019: Royal Elizabeth apartment building on Berkeley Street in Melbourne. 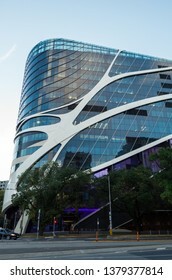 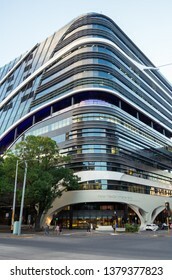 It was completed in 2017 on the edge of the CBD. 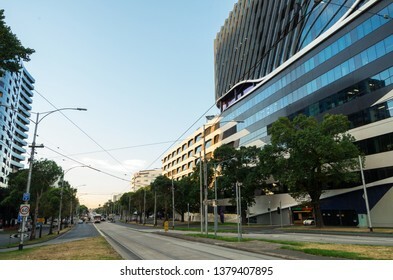 Melbourne, Australia - March 7, 2019: view west along Flemington Road, with the Victorian Comprehensive Cancer Centre in Parkville on the right. 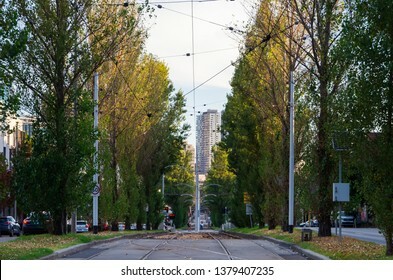 Melbourne, Australia - March 7, 2019: view along Peel Street towards the central business district, in North Melbourne. 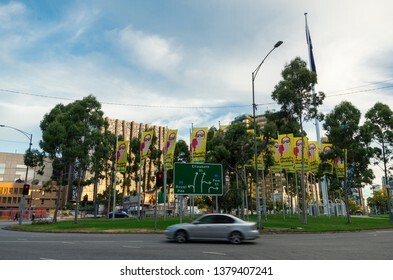 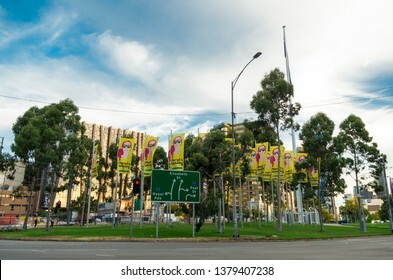 Melbourne, Australia - March 7, 2019: Elizabeth Street roundabout, on the intersection of Flemington Road, Peel Street and Elizabeth Street in North Melbourne. 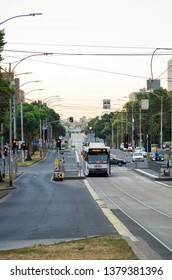 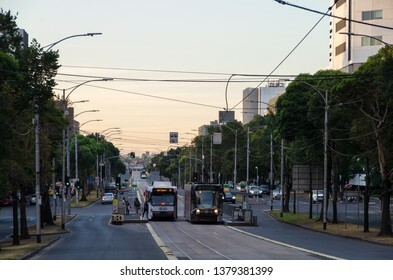 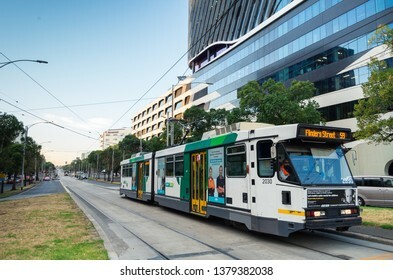 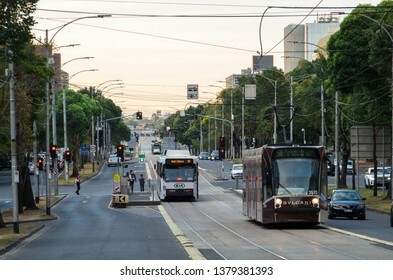 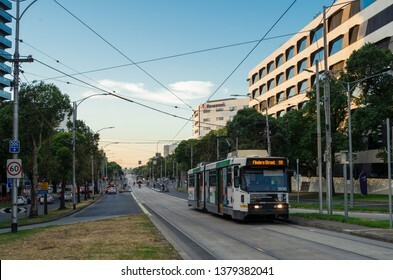 Melbourne, Australia - March 7, 2019: trams travelling along Flemington Road bisecting Parkville and North Melbourne. 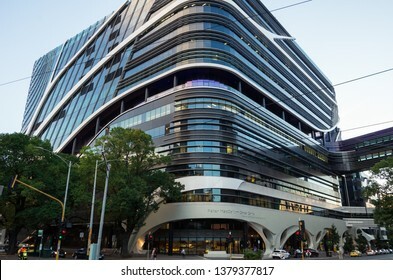 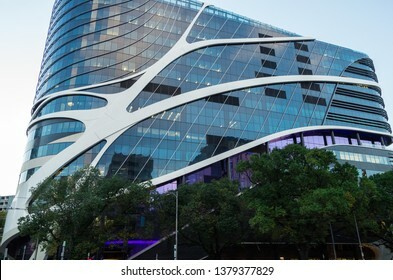 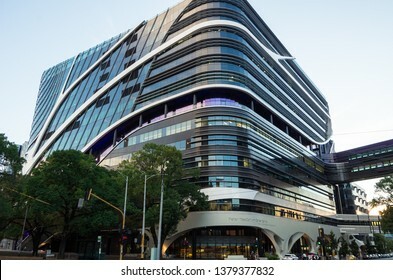 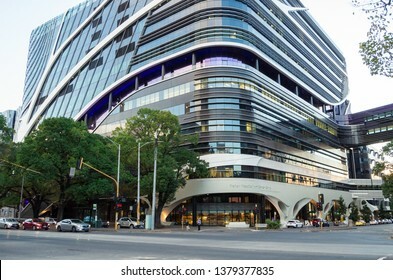 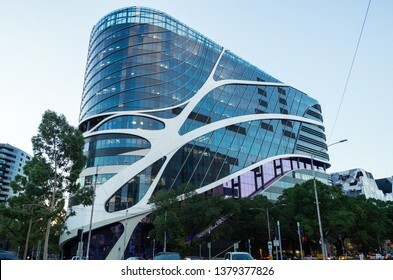 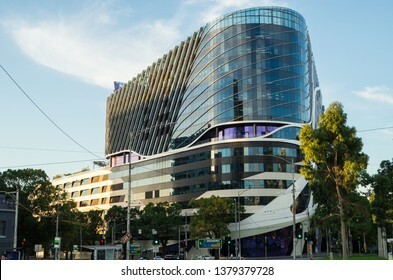 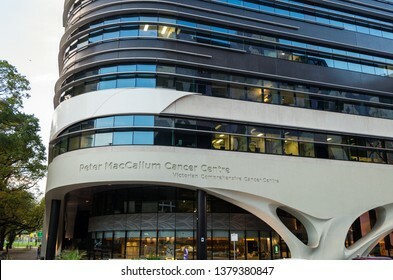 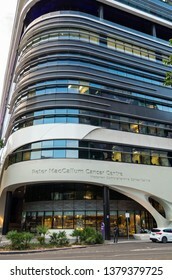 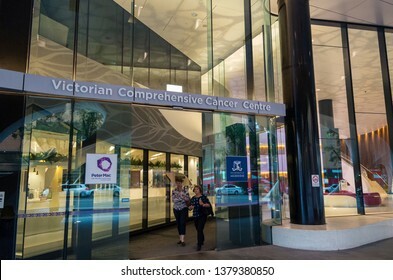 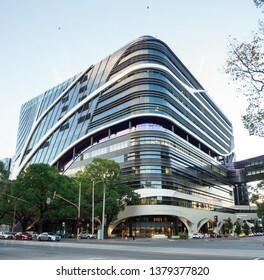 Melbourne, Australia: March 7, 2019: The Victorian Comprehensive Cancer Centre is a multi-site, multi-disciplinary specialist cancer hospital and research centre located in Melbourne, Victoria. 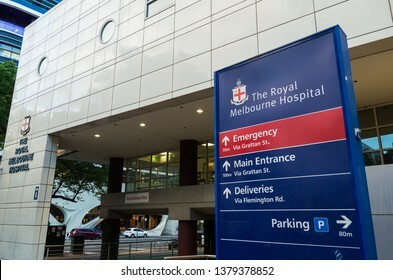 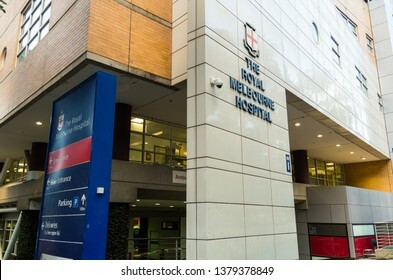 Melbourne, Australia - March 7, 2019: the Royal Melbourne Hospital is a major tertiary teaching hospital located in Parkville. 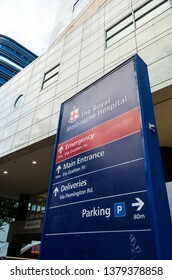 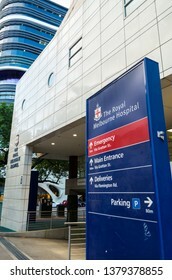 It is operated by Melbourne Health. 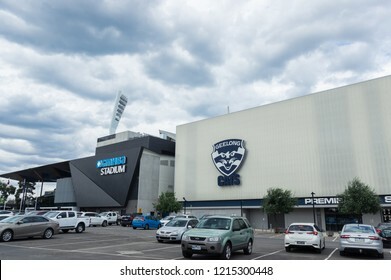 Geelong, Australia - October 14, 2018: GMHBA Stadium or Kardinia Park is the home ground of the Geelong Cats AFL club. 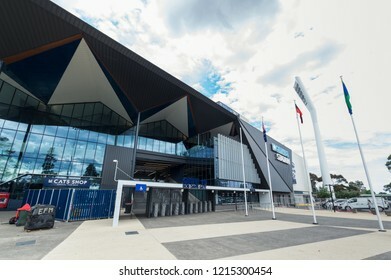 Until 2018 it was known as Skilled Stadium. 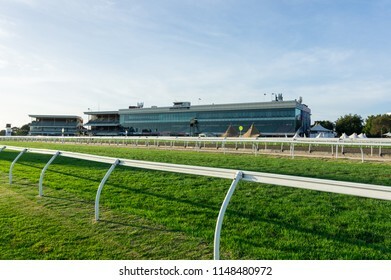 Melbourne, Australia - February 17, 2018: Caulfield Racecourse is a horse racing track in the City of Glen Eira. 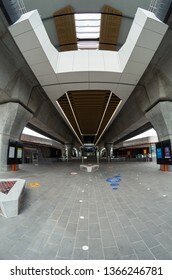 In the centre of the track is a park and wetland area. 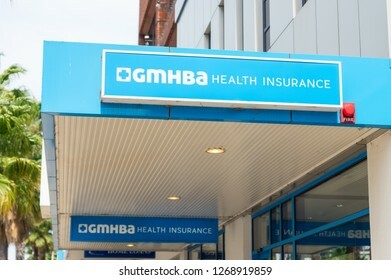 Geelong, Australia - October 14, 2018: GMHBA is a private health insurance company, headuartered in Geelong. 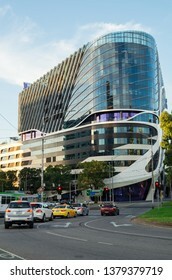 GMHBA has more than 230000 members. 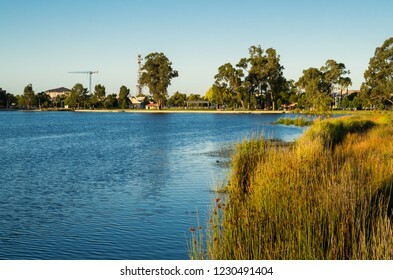 Shepparton, Australia - June 8, 2015: Victoria Park Lake is a lake in central Shepparton, used for recreation including rowing. 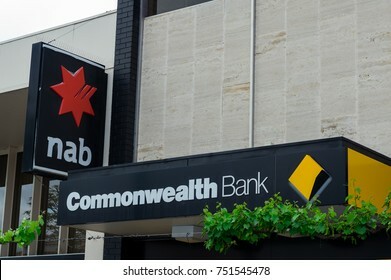 Ararat, Australia - October 21, 2017: the Commonwealth Bank and National Australia Bank are the largest and fourth largest banks in Australia. 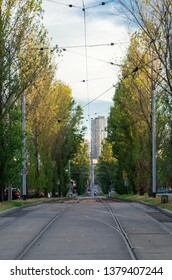 These branches are in Ararat. 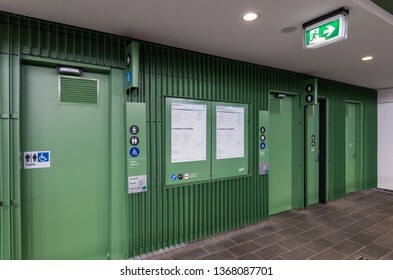 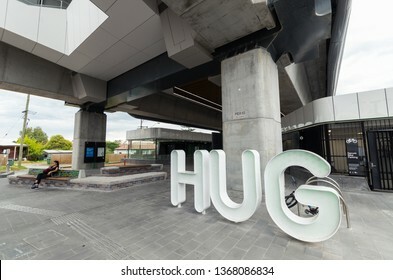 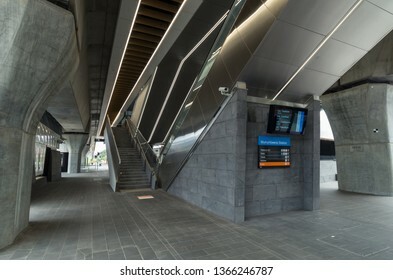 Melbourne, Australia - March 3, 2019: Hughesdale Railway Station was rebuilt in 2018. 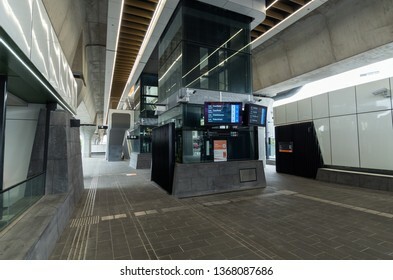 It is on the Pakenham and Cranbourne suburban Metro train lines. 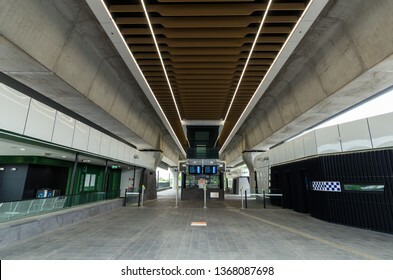 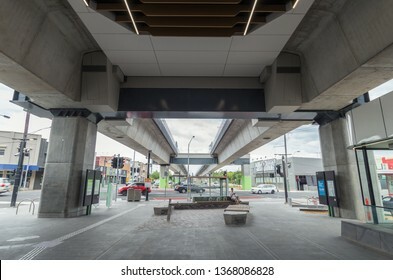 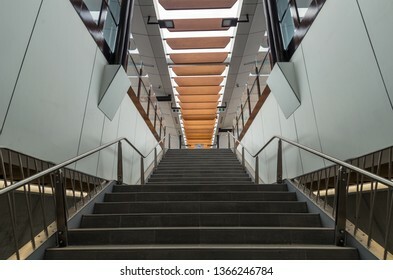 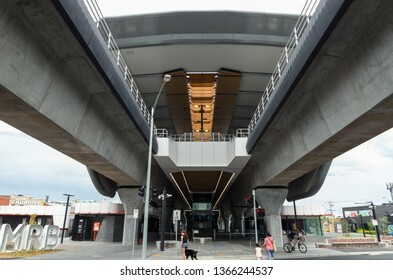 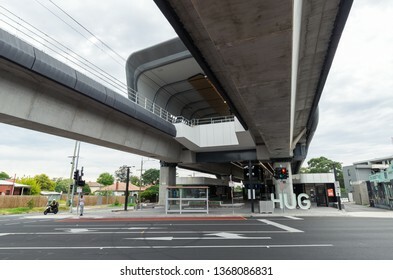 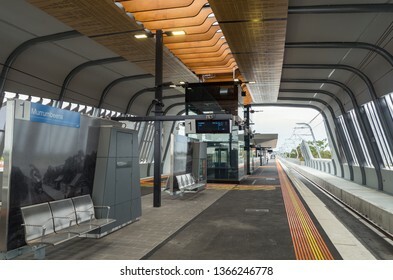 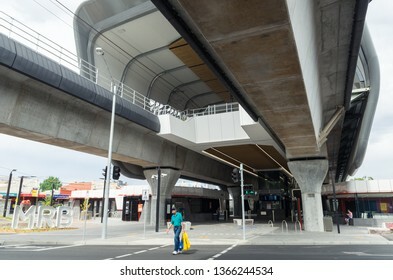 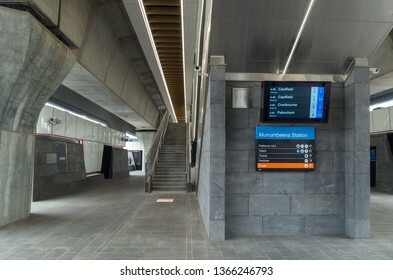 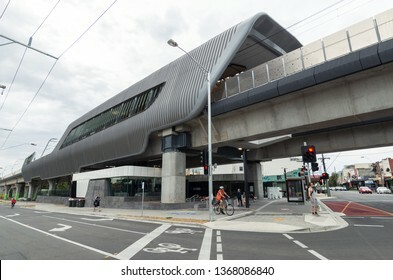 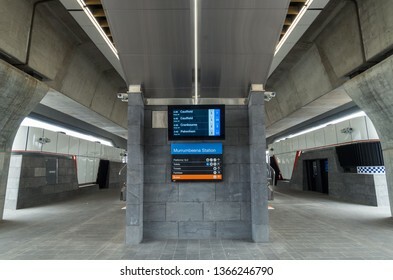 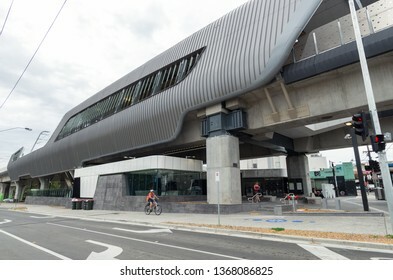 Melbourne, Australia - March 3, 2019: the new Murrumbeena Railway Station, on the Pakenham and Cranbourne lines,opened in 2018. 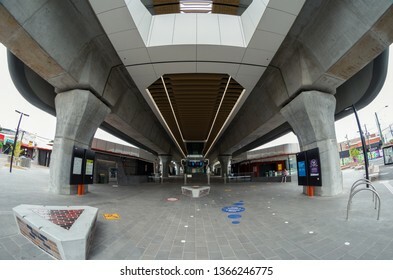 It is a new elevated skyrail station in the metropolitan Metro system. 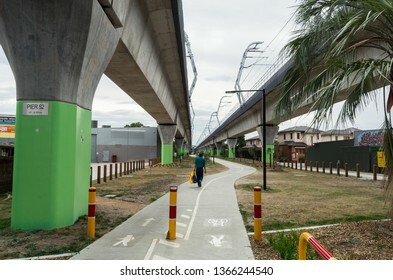 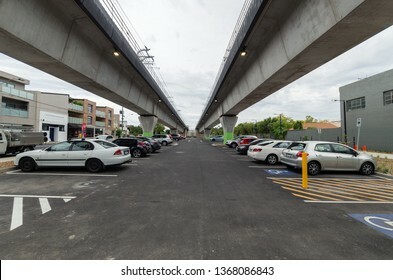 Melbourne, Australia - March 3, 2019: a bike path running underneath the new elevated railway line in Murrumbeena, near Murrumbeena Railway Station.